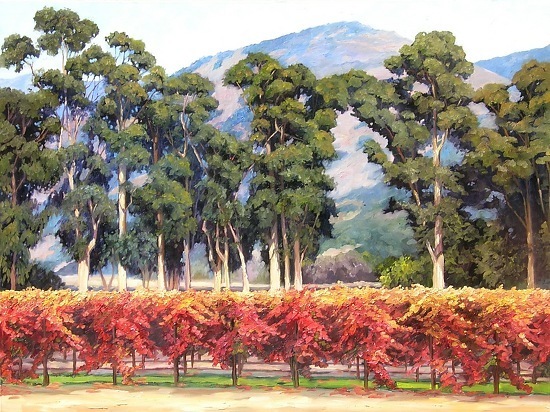 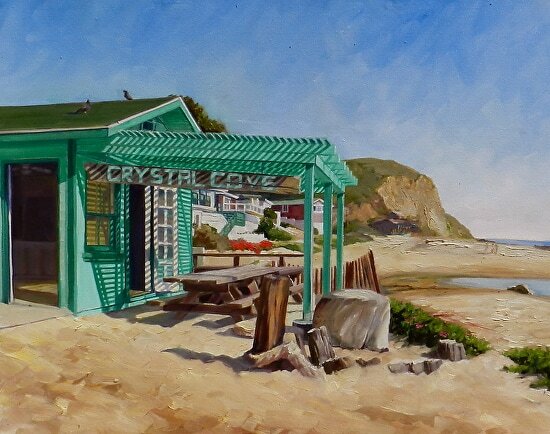 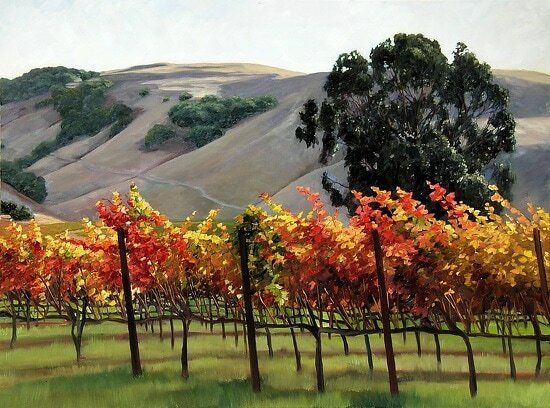 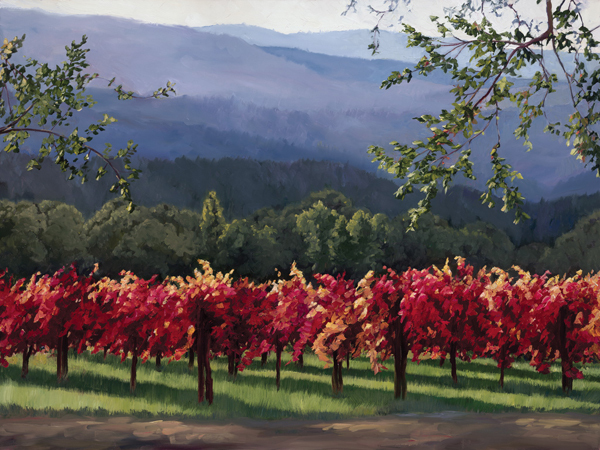 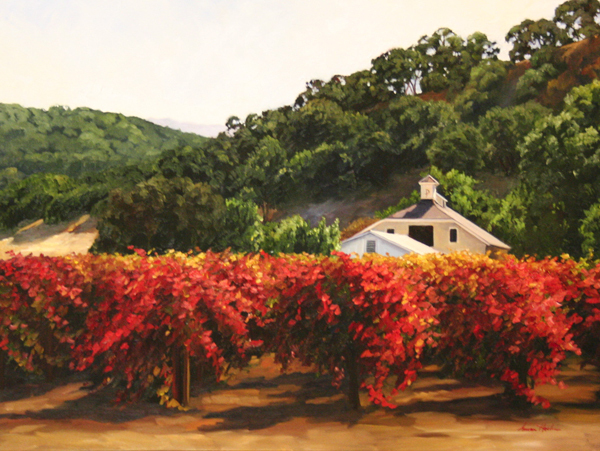 California artist Susan Hoehn is best known for her vibrant hues reflecting the beauty of the landscapes she paints. 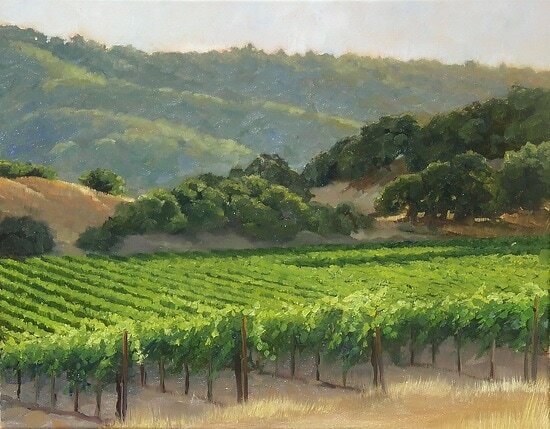 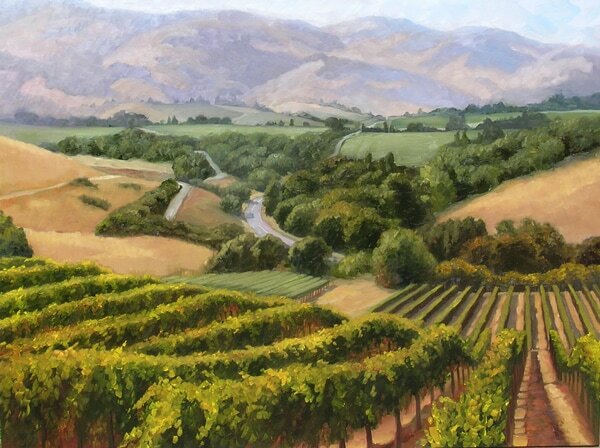 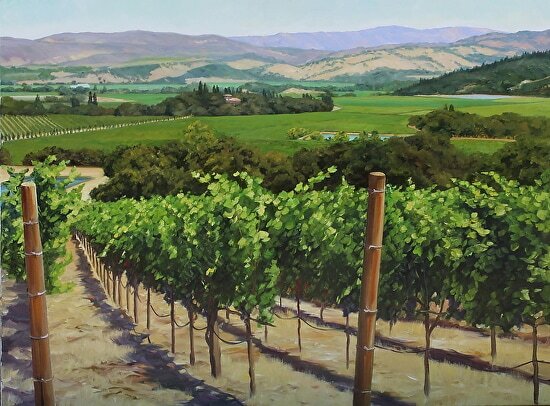 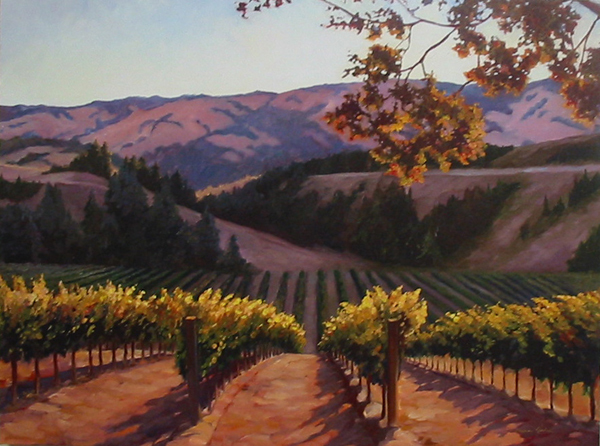 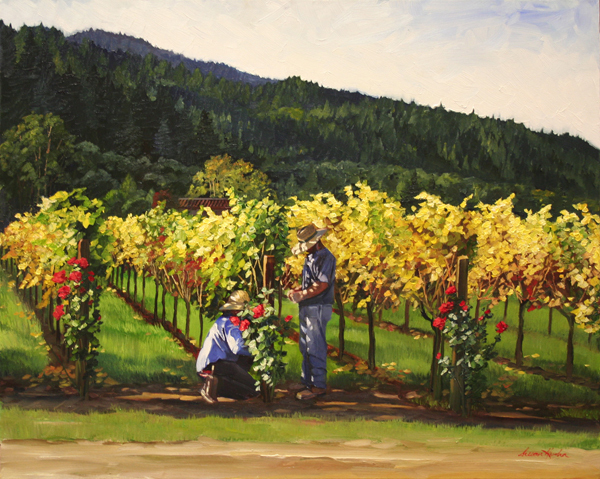 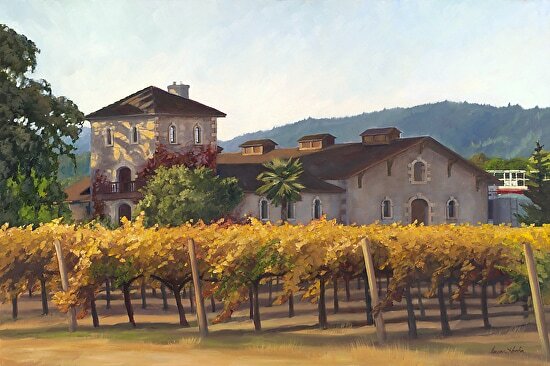 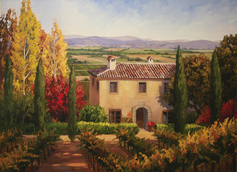 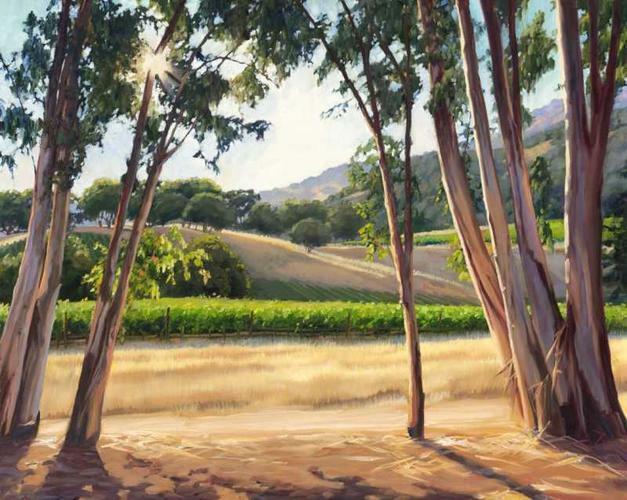 From vineyards to romantic seaside vistas Ms. Hoehn captures the essence of the contemporary landscape. 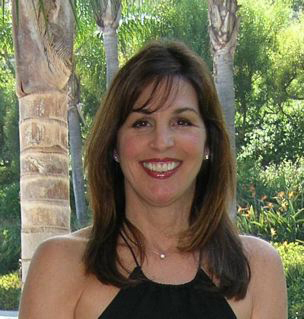 Susan Hoehn received a B.A. 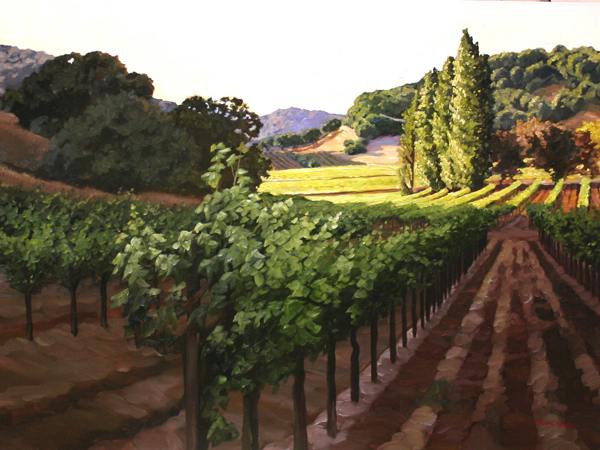 in Art from the University of California at Berkeley where she was schooled in a variety of mediums. 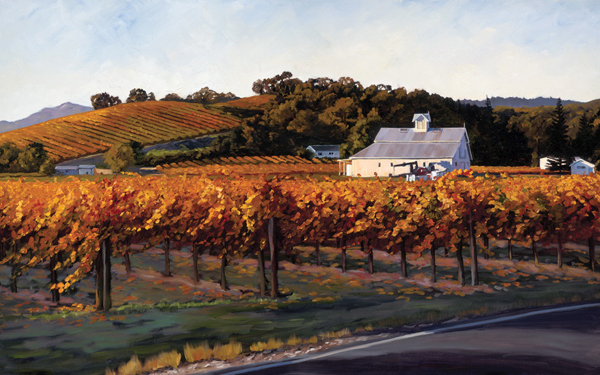 As a student in the late 70's she studied painting under Joan Brown. 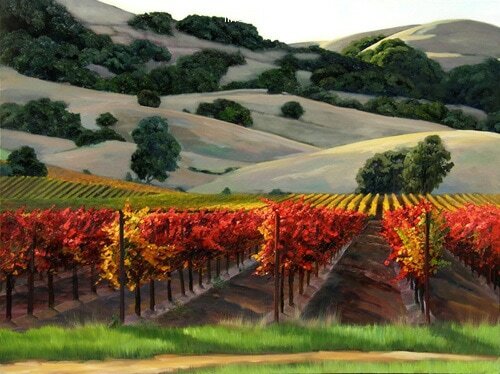 During that period she worked part time for the University Bear Backers designing brochure covers for athletic events. 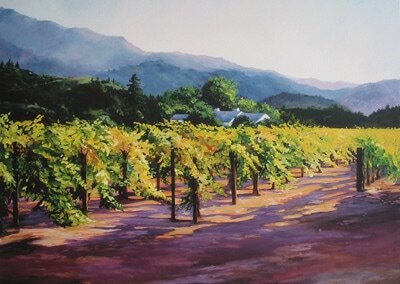 Ms Hoehn is married and has 3 children. 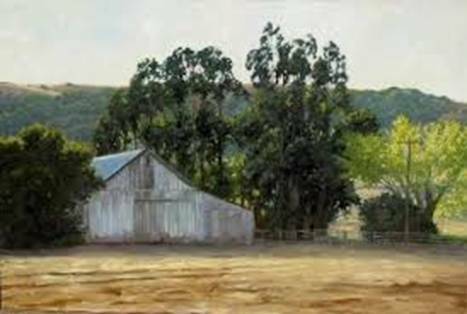 She was fortunate to be able to stay home with her children when they were young and pursue her passion for art. 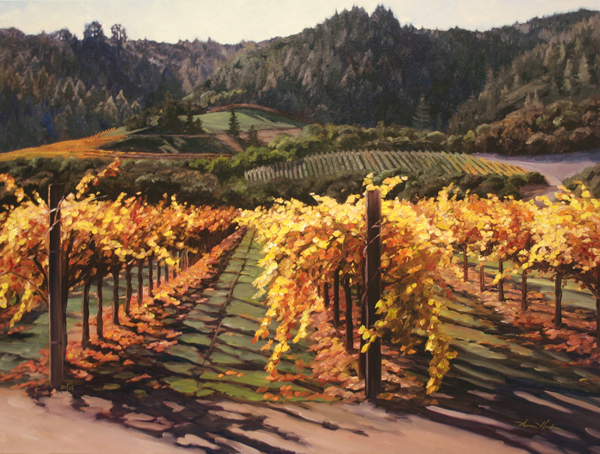 As a landscape painter, it is her life-long pursuit to capture color light and shadow and translate this vision to bring enjoyment to others. 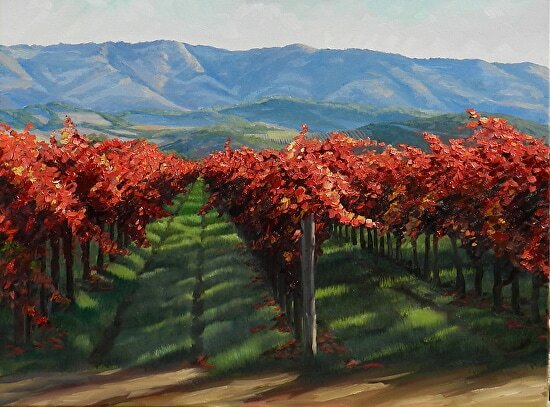 The vineyards of California epitomize this harmony. 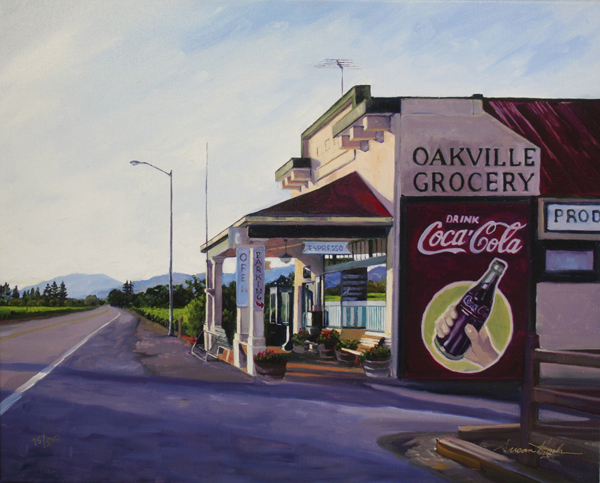 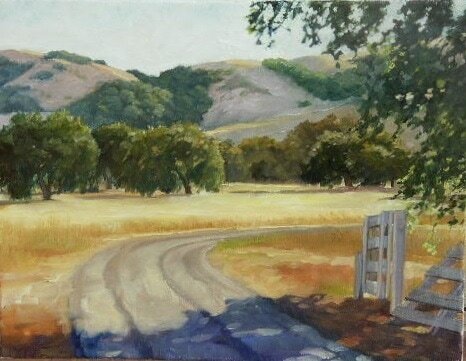 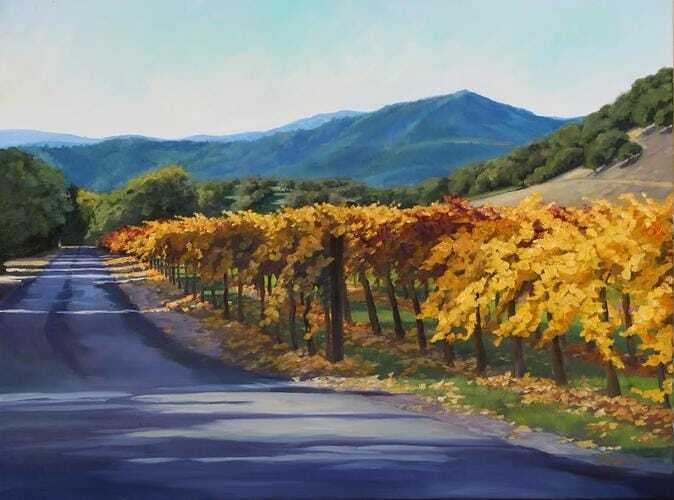 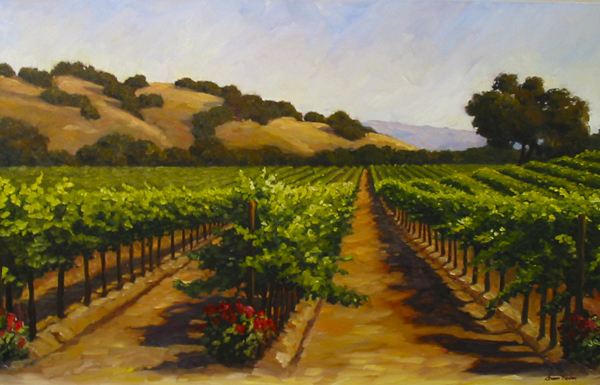 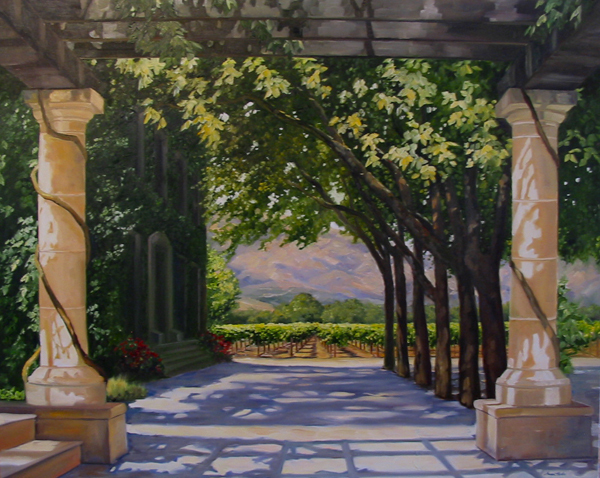 Susan visits the wine country several times a year exploring new locations to photograph and paint. 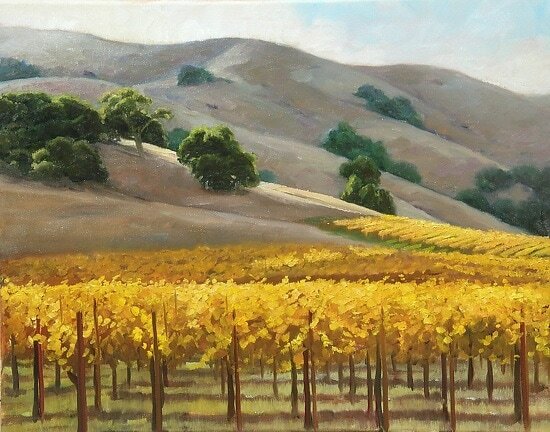 She is most inspired by summer and fall as the color, light and shadows unite to form that perfect composition. 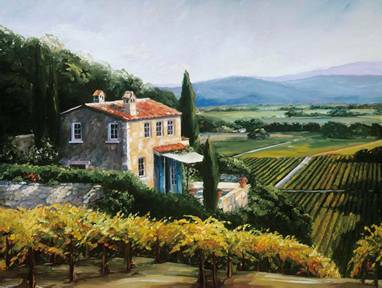 Susan knows she is ultimately successful when someone viewing her painting experiences the same delight from the scene as she did.